Throughout the week with us you will be provided with outstanding coaching and guiding by some the industry’s best coaches. With a maximum ratio of 1:4, you will get plenty of feedback and attention while also keeping safety as a top priority. For more information about our expert coaches, see the ‘About Us‘ page. We are committed to making your trip as relaxed and enjoyable as possible, from before you’ve even left home. We offer airport pick-up or can co-ordinate shared car-travel from the UK. We have some lovely apartments where all meals are provided, so once you’re off the river you are free to relax and explore the area. At the end of the week, we will have a debrief with an opportunity for you to get detailed feedback on you paddling and an action plan to take forward. All photos and videos taken by us throughout the week will be shared at the end of the trip; and if there is sufficient interest we will edit a full trip DVD for purchase. Below is a little video from one of our trips back in 2012. We are committed to making your trip as logistically simple as possible so that you can get on with enjoying your holiday. 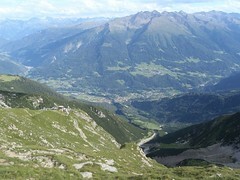 Airport transfers are available from Innsbruck Airport on the first and last day of the trip. 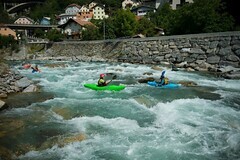 There are regular flights from the UK with airlines such as Easyjet and Lufthansa, both of whom take kayaks at a set charge for sporting baggage. Discounts available for multi-person bookings. 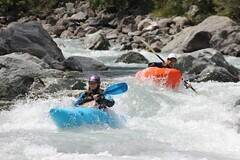 *Includes accommodation, most meals (except eating out) and world class coaching and guiding throughout the week. 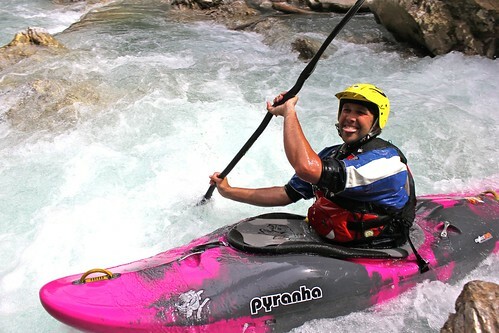 Excludes personal travel insurance, alcohol, snacks, personal kayaking equipment (top spec white water kayaks may be available to rent, subject to availability) and cost of travel to and from Austria. Please contact us by email or phone to confirm there are places still available on this trip and / or to speak to us about any queries you have. A £250 non-returnable deposit is required on booking with the remaining money to be paid no later than 30 days prior to the start of the trip. Payment can be made via cheque, BACS or PayPal – full details can be found under the ‘info’ section of the website. To pay the £250 deposit via PayPal or credit card, you can use the button below.